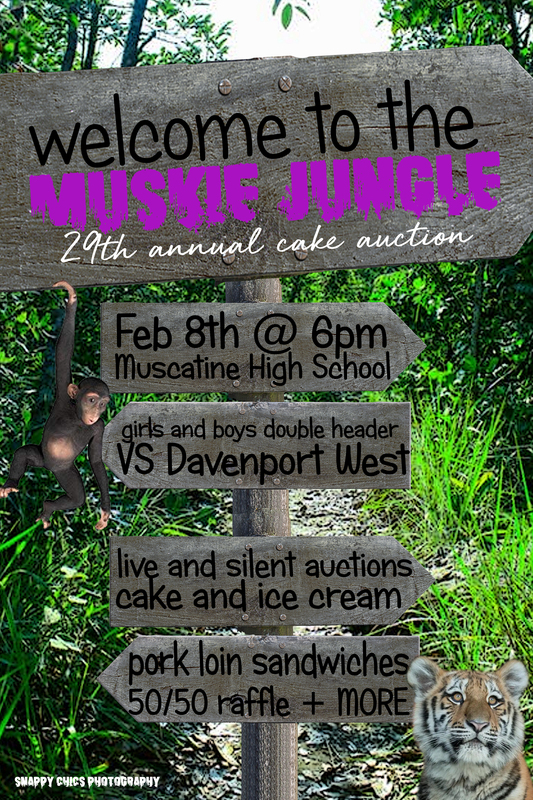 29th Annual MHS Cake Auction, Friday, Feb. 8th. “Welcome to the Muskie Jungle” is the theme. Interested in making a cake for the Cake Auction on Feb. 8th? Cakes need to be at MHS Attendance Center by 4:00pm. “Welcome to the Muskie Jungle” is the theme. Drivers Education class will have class at 5:30 this evening in the ALC room. Remember to submit your articles to mike.truitt@mscdonline.org. There will be a Football meeting for anyone interested in playing football this fall in grades 9-11. We will meet Thursday, January 31st during Enrichment in the Van Hecke Center. Seniors: Look for the INTEREST LEVEL GOOGLE SURVEY for Six Flags. Please respond by January 28th. On Thursday, January 24th over the lunch hour, Muskies Agains Violence will have an informational table for National Drug and Alcohol Facts Week, along with drug and alcohol information with a photo booth. Students will hold a sign that says…I want to SHATTER THE MYTHS because… Once the photos and signs are collected, a collage will be made that will be displayed at MHS. Seniors – Local Scholarship Information Sessions: There will be information sessions regarding the local scholarship online application. Listed BELOWare the dates and times. The sessions will be in the Auditorium. Sign-up for the sessions in adaptive scheduler under Student Services for the Local Scholarship Information Session. Email maureen.beran@mcsdonline.org if you have any questions or are unable to attend the sessions. New Scholarships Added. See Scholarship section below. GET YOUR TEAM TOGETHER & SIGN UP TODAY! Senior Survivor Trivia Night – Feb. 4 @ 6:30pm MHS Commons. All proceeds will be split evenly between all teams. Trivia players are encouraged wear their favorite team’s color! Girls’ Track has been assigned booster club concessions Tuesday, January 29 during the game with Assumption. Sessions begin at 5:30 and 6:45pm. Any parent or athlete wishing to help contact Coach Armstrong or Coach Flowers. THAW Dance – RESCHEDULED TO Saturday, January 26th. 9-12th Grade Girls: FREE THAW dresses to check out in the Main Office – Rm 11-001 with Mrs. Borde before school, during lunch or after school. ADDITIONAL DRESSES HAVE BEEN ADDED – STOP AND CHECK THE NEW SELECTION! Junior & Senior Girls: FREE Prom dresses to check out in the Main Office – Rm 11-001 with Mrs. Borde before school, during lunch or after school. Various sizes from size 6 to 24 and styles. ADDITIONAL DRESSES HAVE BEEN ADDED – STOP AND CHECK THE NEW SELECTION! Key Club is having a coat drive January 14-25th. Each coat you donate will enter you into a drawing for a chance to win one of three $25 dollar gift cards to a local business of your choice! The coats will go to Muskie Locker and MCSA. Drop off is in the MHS Library. Junior Scholarship Opportunity: 2019 Coolidge Scholarship Deadline is Wednesday, January 23, 2019 at 5:00 PM EST. That’s less than three weeks away! Students can apply at www.coolidgescholars.org.